Welcome to Fusion Ideas…. We’re constantly digging through our client’s data and continuing to conduct primary research studies, so we thought this would be a good place to share our ideas with you! There was once a time when advertising in print was the only solution recruiters had for finding RNs and healthcare professionals to fill open positions. Those days are gone forever. Online recruitment has opened up a wide geographic area and a deeper pool of candidates. Unfortunately, filling open positions with qualified candidates remains a complex problem. To gain insights into the thought process of job searchers, Fusion Marketing Group conducted a survey of over 300 RNs asking them to tell us more about their job search habits. To our knowledge, this is the largest survey of its kind, possibly the only one of its kind. The original findings uncovered in this survey have painted a clear and unique picture of how RNs and other healthcare professionals search for a new job in today’s marketplace. Combining the results from our data analysis and survey findings, the insights we gleaned have enabled us to create a whole new approach to healthcare recruitment marketing. It’s time for healthcare HR and recruiters to deploy a new and unique set of solutions for filling their open positions. The target audience of nurses, mid-level practitioners and allied health professionals have all changed the media channels they use to look for jobs today. To sum up, the most important finding is that recruitment advertising alone simply cannot provide the results that healthcare recruiters need. Contemporary recruiters and HR professionals require a full array of marketing tools, including re-marketing, to foster candidate engagement programs. Those who spend all of their recruitment dollars on paid advertising, only create significant waste and lower ROI while the best and brightest choose other pathways. We recommend devoting at least half of the recruiting budget to more thoughtfully engaging those candidates who visit the company website. All of the dollars spent driving traffic to the website are wasted without the proper tools in place to win conversions or at least gather some vital information on those visitors. Examining exactly what those tools are and how to use them effectively will be the focus of upcoming articles on this blog. Our experts will be blogging on topics of interest to healthcare recruiters and human resource professionals. 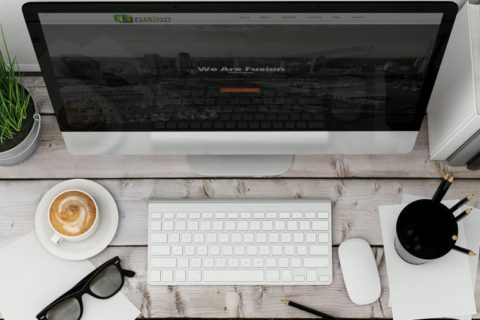 Welcome to the Fusion Marketing Group Blog. Welcome to the future of healthcare recruitment strategies.